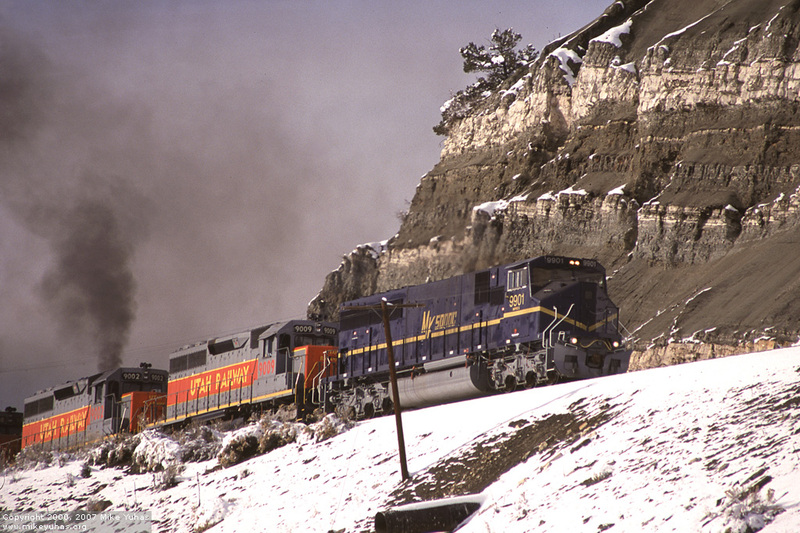 Climbing Soldier Summit, this eastbound Utah Railway train was working hard. Leading is a leased Morrison-Knudson MK5000C. Judging by the amount of smoke pouring out of the third unit, there appeared to be a mechanical problem with SD40-2 9002.